Are you having a little trouble managing your Facebook Newsfeed? Are you overwhelmed at the sheer number of posts? Do you wonder why those posts are on your Newsfeed? Do you find that you’re missing your favorite Facebook Friends’ most important posts? Don’t despair—help is here! If you have more than a few Facebook Friends or have Liked more than a few Facebook Pages, there is simply no way to see them in the Newsfeed now. Facebook’s most recent “solution” to that is to choose to see Friends’ or Pages’ posts “First” or by “Default.” This is a virtually useless solution, not really a solution at all, because it still does not address the fact that there are simply too many Friends and Pages to see all of them, in addition to posts that are paid advertisements. And just because you make the choice to see a certain Friend’s posts “First” in your feed, rather than by “Default,” does not mean that you will see any of said Friend’s posts, or that you will see more than a few of their posts, because Facebook chooses for you which posts you will see and intersperses many advertisements between them in the Newsfeed. I rarely use the Newsfeed now, because I simply don’t have the time to peruse hundreds of posts. But if I do look at the Newsfeed, I make sure to change the option from Facebook’s default Top Stories—the Facebook default which will not show posts in sequential order and will show you only what Facebook’s algorithm comes up with—to Most Recent, so that the feed shows in logical, chronological order. To do this, look to the right of the word “Newsfeed” on the left of your homepage, click on the dropdown list and choose Most Recent. Again, not a solution. Notifications: An option that works! You can virtually create your own Feed with posts from Friends and Pages of your choosing in one place: Notifications. The Notifications feature allows you to customize exactly what shows in that feed. And the posts appear in a neat sequential list. If you think about it, I’ll bet you’ll find that there are fewer than ten Friends whose posts you really, really want to see every day, and probably fewer than twenty Pages. If you fix it so that you see only those when you go to Facebook’s Notifications feature, you will spend far less time than you would wading through a Newsfeed, wasting your time. You can always go back to your Newsfeed afterwards if you have the time. So how do you use the Notifications feature? Simple. (And please note, in case you’re wondering, that I have not used screenshot demos in order to protect the privacy of my Friends.) Go to a laptop; it is difficult or impossible to set Notifications on a phone. You can use your Notifications list on the phone, but you can’t choose Friends and Pages easily and you can’t change the Notification settings on a phone. First, look at the top right of your Facebook home page. 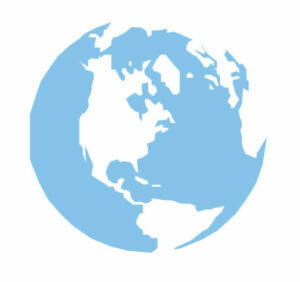 Do you see the globe icon? It’s the third button from the left, next to Messages. (Looks like the image at the top of this post.) That’s your Notification area. Next, click on that globe. At the bottom of the list that appears, click on See All. Now you have a sequential list of all posts from Friends and Pages for which you have turned on Notifications. That’s your Notifications feed! For each post, you can see the poster and its topic, so that you can decide if you want to click on that post and read it. Note: If you are viewing your Notifications list from a phone, click on the Bell icon in the top right. You can just click on the link to see the post, then hit Back on your browser when you want to return to the Notifications List. The second option, the one I tend to use myself, is to right-click on a link you want to open and choose “Open link in new tab,” or the equivalent on your particular computer (this obviously only works on a computer, not on a phone). That way the Notifications list is still open in another tab. My morning routine is to do this second option for all posts I want to read. Then I just move through the tabs, reading the posts, then closing the tab and moving on to the next post. Adding Friends and Pages to your Notification feed. So how do you get your Friends and Pages on that list? Easy—it just takes a couple of clicks! The routine does vary slightly according to whether you’re adding a Friend or a Page, and what your particular Facebook layout is like (we do not all have exactly the same layout). Rest your cursor on their name in a post or go to their Timeline by clicking on their name. Rest your cursor on Friends. In the drop-down list, you will see Get Notifications. Click on it. Rest your cursor on the Page name in a post or go to the Page’s Timeline by clicking on its name. Note: By default Facebook turns on Notifications only for videos and events and NOT for posts. So if you do not take an additional step, you still will not see your friends’ posts in your Notifications feed, and instead see only their videos and events, even though you have clicked on Notifications. Go to Notifications on a particular Friend or Page, click the Edit button to the right of Notifications, then click on Posts in order to see that Friend’s or Page’s posts in your Notifications list. Removing a Friend or Page from Notifications. If you later decide that you don’t want a particular Friend or Page to appear in your Notifications any more, simply follow the steps above in reverse to turn off Notifications. Now, whenever you open Facebook, click on the globe to see your Notifications, click See All, and you get a nice, compact, chronological list of posts by people and pages you really want to see.